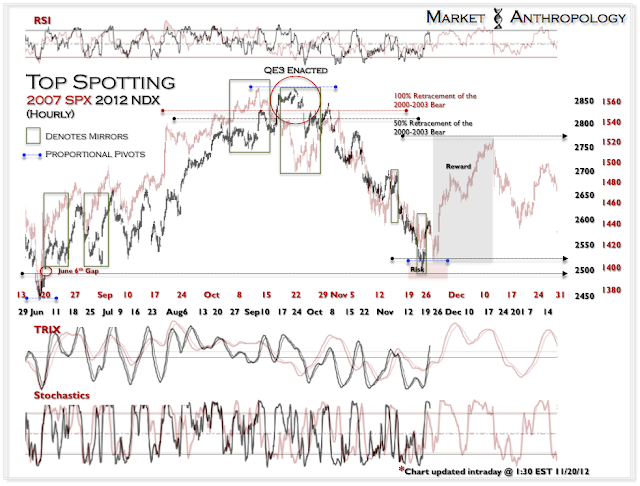 Here are two different intraday updates of the 2007 SPX comparative. The first maintains the time-scale of the previous series. The second chart has been compressed to match the underlying momentum series after this afternoons retracement. 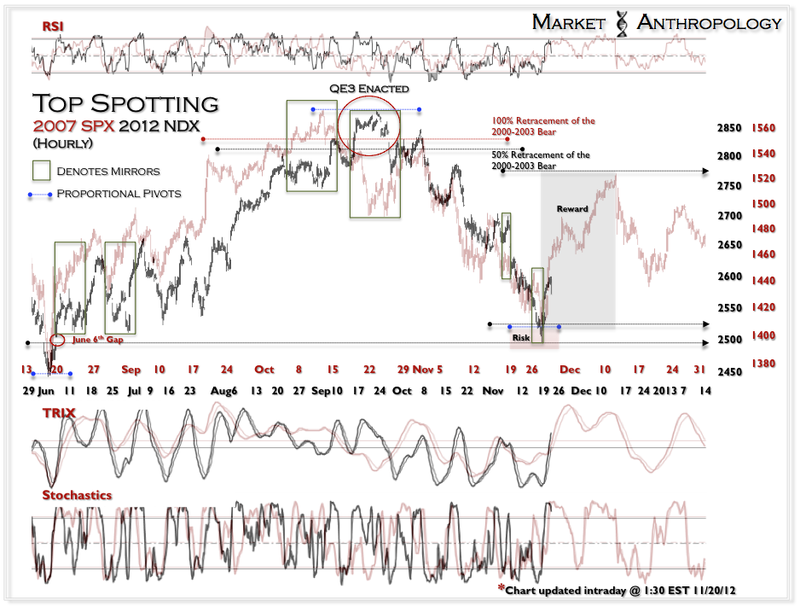 This comparative indicates that the Friday gap may be closed tomorrow before the rally continues. In either case - I expect the NDX to hit the initial target of ~2640 in the short-term.